The rap star is planning his first big festival in his hometown of North Carolina next month. (AllHipHop News) Rap star J. Cole has unveiled the lineup for his his inaugural Dreamville Festival. Confirmed acts include J. Cole himself, as well as sets by SZA, Big Sean, 6LACK, 21 Savage and Nelly. 21 Savage, Teyana Taylor, Davido and North Carolina-based artists Rapsody (Snow Hill) and King Mez round out the bill. 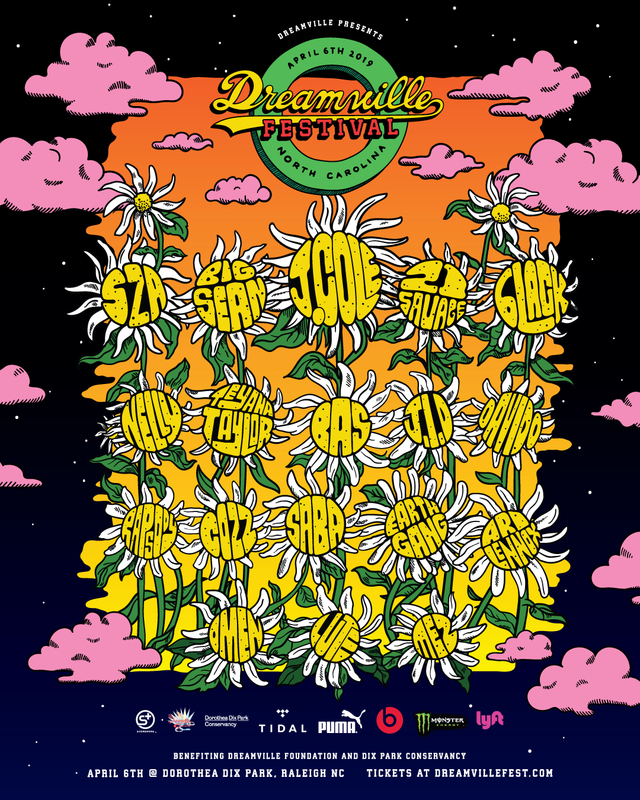 One of the most highly-anticipated evenings of the festival will come when the Dreamville Records performs together, including Bas, J.I.D, Cozz, Earthgang, Ari Lennox, Omen and Lute. Other activities at the festival will include a putt putt golf course; expansive beer garden; vendor row featuring local products and merchants; the "Dreamville Festival Art Wall" and dedicated lounge space reserved for members of The Divine Nine; and more. The Dreamville Festival is set to take place on Saturday, April 6 at Dorothea Dix Park in Raleigh, North Carolina. GA and VIP ticket packages are on sale now at www.dreamvillefest.com. great head line... electrifying even.